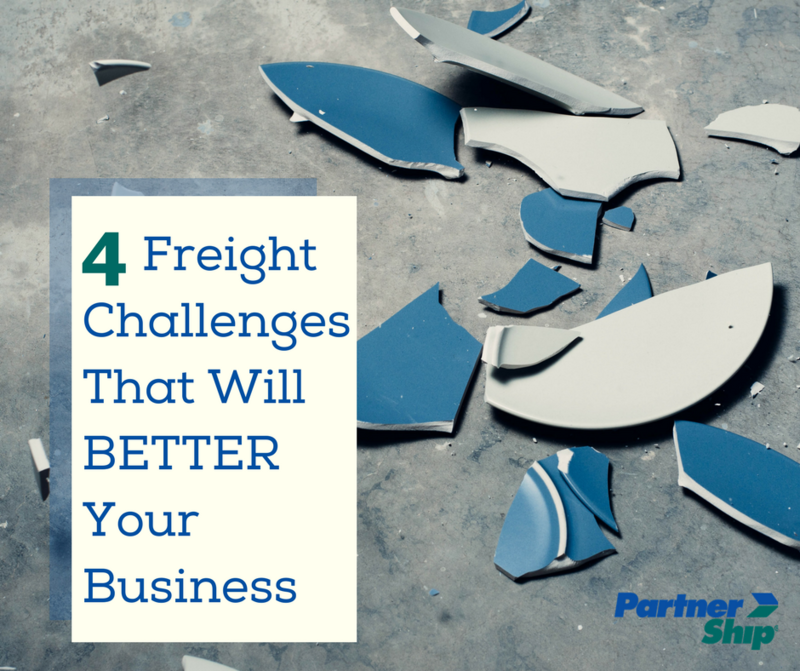 There are many stressful parts of freight shipping, and for businesses shipping regularly, it can seem the challenges are never-ending. From shipment delays to damaged freight, it can seem there is a definite lack of control once your pallet leaves your dock or doorstep. Informed shippers can turn these frustrating obstacles into positive opportunities to take back control of your shipping processes, and better your business in the long run. -Late freight is a very common issue for shippers, and one that can often affect the relationship between your business and your customer. Fortunately, it is also one of the easiest challenges to avoid, and it all boils down to transparent communication between you and your chosen carrier. It may appear that you are at the mercy of your vendors with regard to your inbound shipping orders for supplies and raw materials, but you don't have to be. Setting up routing instructions with specific requirements and chosen carrier preferences is something you can and SHOULD discuss with your vendors, that way your needs are met and you can rest easy. Most carriers offer online tracking services through their company websites, and you can always stay informed by setting up alerts and notifications by either text or email, so you can stay informed about the transit status of your freight. Selecting the appropriate service type is another way to avoid late freight. Different service levels are often determined by transit timelines. Time-critical and expedited shipping options can help get your shipment where it needs to, at an accelerated rate. Another way to avoid delivery delays is to be sure you are familiar with your shipping locations. If there a short window for dock hours, or pick-up/delivery appointments are required, and you don't make the carrier aware when scheduling the shipment, you can bet on a missed or delayed delivery. -Damaged or lost freight is every freight shipper's worst nightmare. Accidents happen, and every freight shipper will most likely experience damage to their product, especially as volume and frequency increases. If you are seeing repeated incidents, or a frequent occurrence, it's possible that there may be an underlying issue--improper packaging. Even minor adjustments can make all the difference in a long transit where shipments are being loaded and unloaded at several terminals and different trucks. -In the unfortunate event that your shipment is damaged, the last thing you want to worry about is compensation for that loss in order to repair or send a replacement product. In order to receive compensation from a carrier, it is necessary to prove that they were at fault or negligent. It's crucial to take as many pictures as possible to prove the product was in good condition prior to pick-up. Even if you are able to win the claim after filing, oftentimes the payout leaves a little to be desired. The amount of coverage is often paid out at a fixed dollar amount determined by commodity and class, and there are endless rules and exceptions. The headache can be avoided if the shipper is proactive and obtains supplemental cargo insurance to cover the cost of the load. Many providers do not require the carrier is proven negligent and shippers can avoid carrier tariff loopholes such as restricted freight classes. -It's a tough time for shippers. With the ELD mandate deadline behind us, many carriers still do not meet minimum requirements, thereby restricting the number of available carriers on the road. With truck drivers unwilling to risk the run as law enforcement officials crack down on non-compliant carriers, an already limited truck capacity is tightened further. Carriers that DO happen to have available trucks are asking a premium, and with options limited, they will get it. Shippers need to take control and shop rates among carriers, but that takes time, patience, and industry knowledge--and that's where working with a 3PL can come in handy. There seems to be no end when it comes to obstacles that shippers encounter. Getting your shipments delivered on time, safely, and smoothly seems like a no-brainer, but once that pallet has left your dock, control is pretty much out of your hands. But it doesn't have to be. A quality 3PL provider can serve as an extra set (or two!) to make sure you are shipping smart and staying competitive. The team of experts at PartnerShip have taken a look at the most common problems shippers experience and how they can actually BETTER your business. Download our free white paper today!